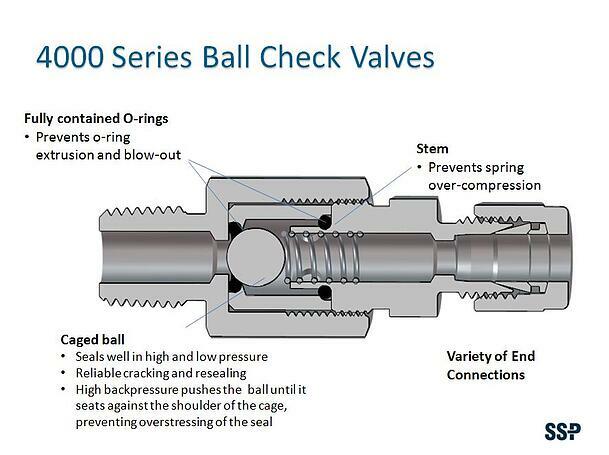 4000 series check valves are ball-poppet type check valves used to eliminate back flow or to maintain constant back-pressure in instrument, utility, and small process systems and equipment. 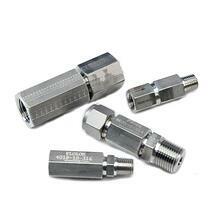 The self-cleaning ball poppet design inhibits the poppet from sticking to the valve seat for more reliable cracking and resealing. Orifice Sizes: 0.09, .019, 0.28 in.